One of the things I love about my job is getting to go behind the scenes and visit food & drink related places that are not usually accessible to joe public. It's like when they used to take you through the round window in Playschool - only better. 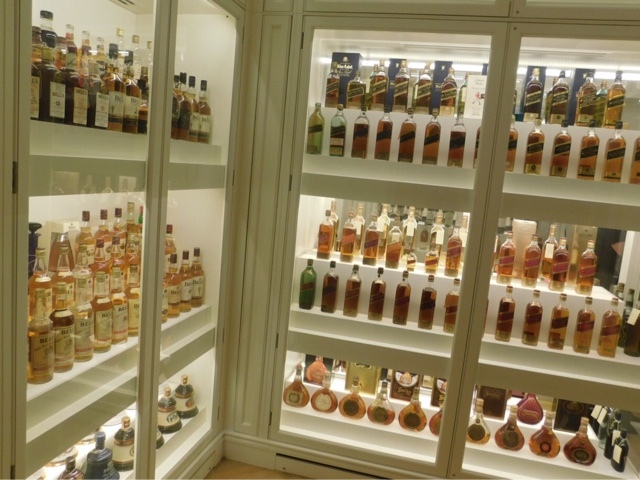 A visit to the Diageo Archives a couple of weeks ago was possibly the best one yet. To be honest I really didn't know quite what to expect. The invitation from Tanqueray and Diageo invited me to join an exclusive visit to the Liquid Library in Scotland for an afternoon of Curious Gin Tales and an exciting opportunity to try the 4th limited edition Tanqueray Gin variant, revived from Charles Tanqueray's 19th century recipe book. How could I possibly refuse such a delightful Ginvitation? 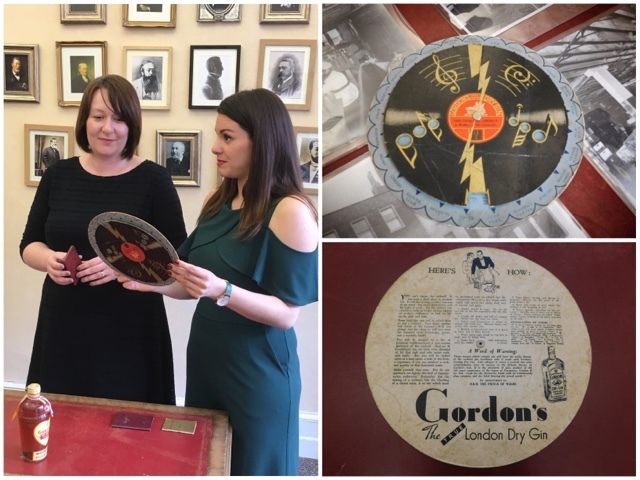 A magical mystery bus trip took us from central Edinburgh to the Diageo Spirits global drinks archive in Menstrie near Stirling. 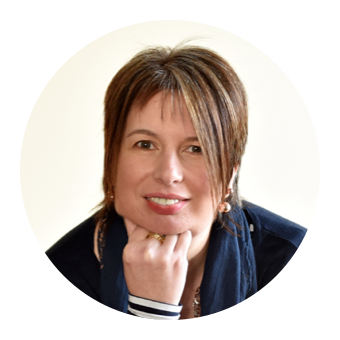 Our bus conductor and tour guide was Stephanie Jordan, Tanqueray's Global Brand Ambassador. Upon entering the rather unassuming Archive building we were greeted by Diageo Historian (aka Ginstorian) Joanne Mckercher who led us through to the Liquid Library. I'm pretty sure my mouth dropped open and my eyeballs popped out on stalks cartoon stylee. My mind was completely blown. I really didn't know where to look first. 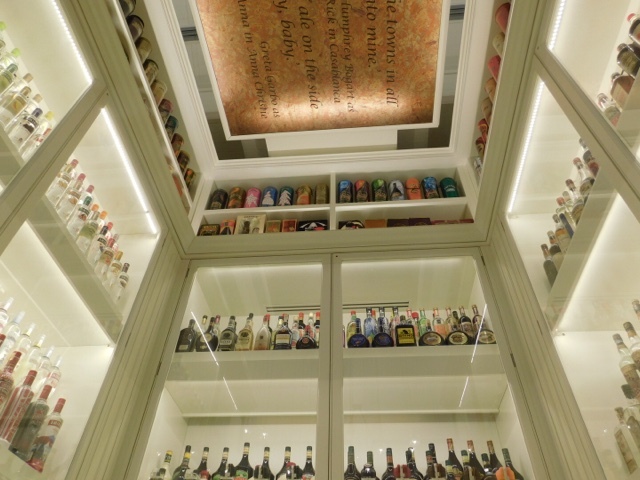 The library comprises of over 5000 bottles of spirits spectacularly housed in climate controlled cabinets overlooked by crystal decanter light shades. It was like an exquisite art instillation. 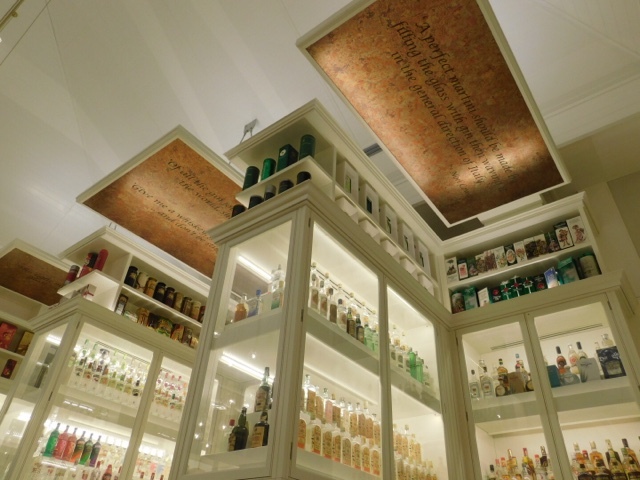 The shelves were lined with all the iconic Diageo brands - Johnnie Walker, Tanqueray, Baileys, Bell's, Gordon's, Smirnoff, Pimm's and more. I've always loved food, social and domestic history (secretly wish I was Ruth Goodman) and absolutely adore packaging design so with a glass of Tanqueray and Tonic in hand I was in absolute heaven. Everywhere I looked there was something new to catch my attention. 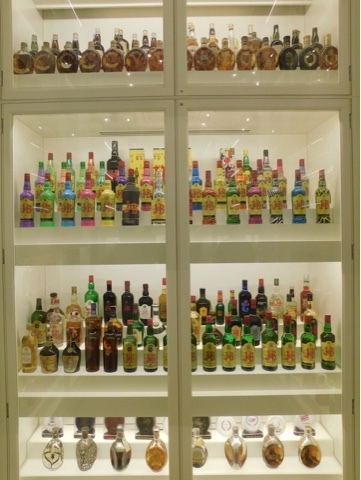 It was fascinating to see how bottle designs and packaging have evolved over the years. Whilst of course I zoned in on the Tanqueray and Gordon's Gin I was also fascinated by nostalgic parts of my early drinking years - yup Archers Peach Schnapps and Smirnoff Ice I'm talking about you! Bailey's is another of my favourite tipples and although the majority of items in the collection are full bottles, the creamy drinks have to be removed (perhaps a job I could volunteer to assist with?!) The empty bottles of Sheridan's looked particularly sad. The cabinets are controlled for optimum temperature and air humidity and there's no need for any feather dusters as all the dust magically gets extracted. It was surprised to see that what we tend to think of as modern innovations today are clearly nothing new. Gordon's began production of a 'Ready-to-Serve' Shaker Cocktail range in 1924 and released an Orange Gin in 1929 and a Lemon one in 1931. The oldest bottle in the archive dates from the 1880's and is a bottle of Johnnie Walker which contains a snake - but no one knows why! Whilst the Liquid Library is undoubtedly the showcase of the collection, much like an iceberg there is a further 90% below the surface. 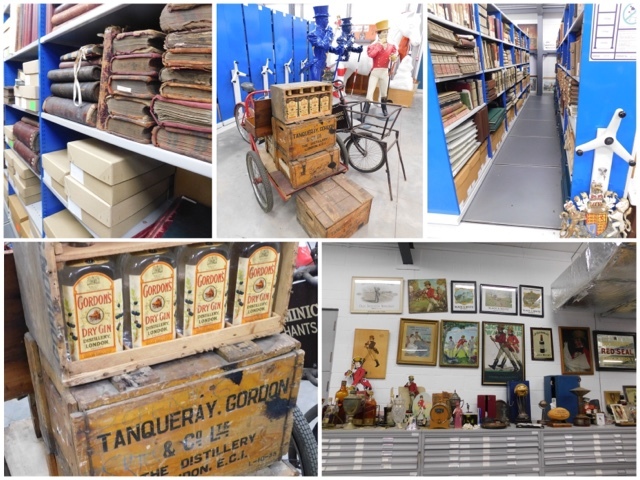 Over half a million items of drinks heritage are contained in three huge stores where they are all meticulously catalogued. We had to finish our G&T's before heading to the next part of the tour to learn more about Diageo’s two most iconic Gin brands - Tanqueray and Gordon’s. First a whistlestop tour through the history of Gin encompassing the London Gin Craze and US Prohibition. Gordon's was first produced in 1769 and has been the UK's number one gin since the late 19th century. 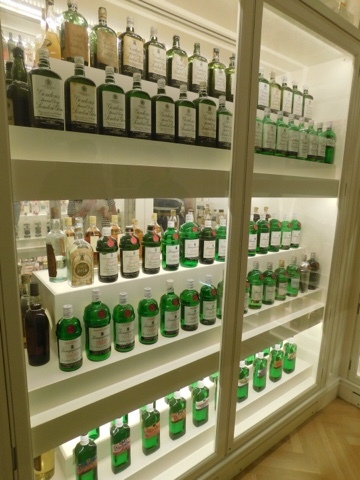 Tanqueray has been distilled since 1830 and dominates the US market. In 1898 Charles Tanqueray & Company merged with Alexander Gordon & Company to from the inimitable Tanqueray Gordon & Co. Since Charles Gordon's death in 1899 the Gordon family connection survives in name only. However on the Tanqueray side one of the gems in the collection is Charles Tanqueray’s journal. This contains recipes for gin, boot polish, animal medicines and saddle cleaners! No photographs allowed of this precious artifact although I reckon most people would struggle to decipher the handwriting let alone recreate the gin recipes. The archive is very much a working resource rather than a dusty historical museum. Part of our invitation had offered the tantalising opportunity to try some recreated variants from the archives. 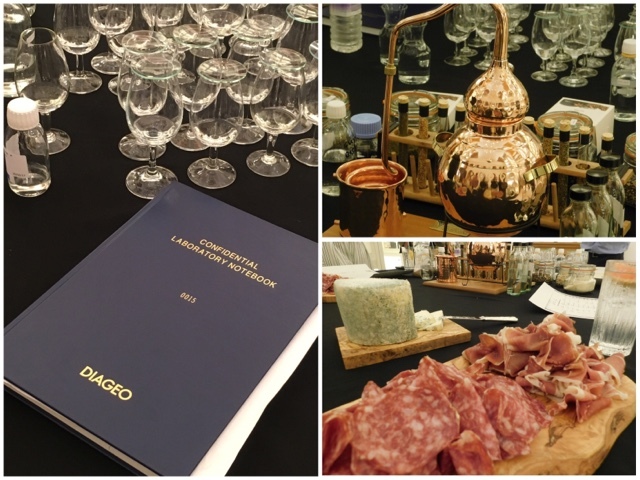 Gavin and Ken from the Innovation centre presided over the tasting of two top secret recreated Gins whilst we were treated to an abundance of cheese and charcuterie. Not sure there could possibly be a better way to spend a Friday afternoon! This is the kind of library I most definitely need a card for. Although I suspect I may be liable to extensive fines for overdue bottles and that my excited squeals at discovering something new would require continuous shh-ing. Some fatal day you will be called upon to mix a cocktail. Your social prestige will totter in the balance. Will you plunge into the abyss or will you meet the situation with knowledge, power and a masterly hand? You will be doomed to a life of perennial wallflowerhood if you confess ignorance of the cocktail. And no fit punishment has yet been even dreamed for that rash soul who mixes cocktails badly. But you will be looked upon as a man apart, a man of the hour, a superman if you can produce a cocktail worthy of that honoured name. 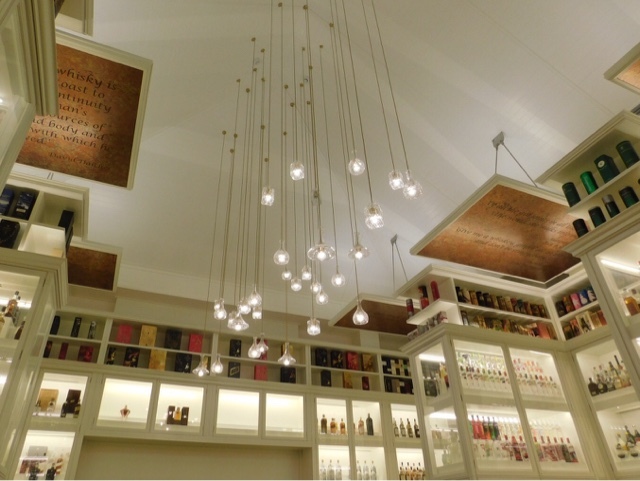 Disclosure: I visited the Liquid Library as a guest of Tanqueray and Diageo. As always, all views expressed are my own. 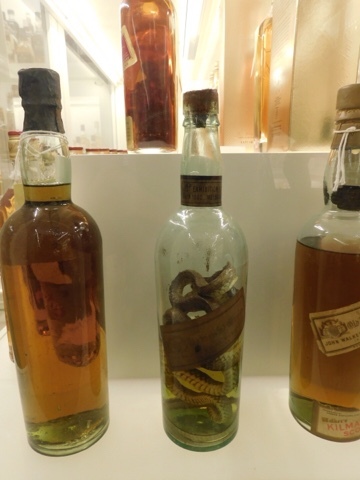 It would be so interesting to see the oldest bottle of Johnnie Walker with a snake! What a fab tour. The snake is somewhat of a strange curiosity! Perhaps the first unusual food and drink pairing?! I'm not a drinker but this is such a beautiful spot!! Nice tour!! It was an absolutely fascinating tour combining so many of my favourite things. Interesting article but you can keep that bottle of JW w/snake! Don't worry - neither the snake or the bottle is going anywhere anytime soon! Wow, I would NEVER leave! What an absolutely amazing experience! 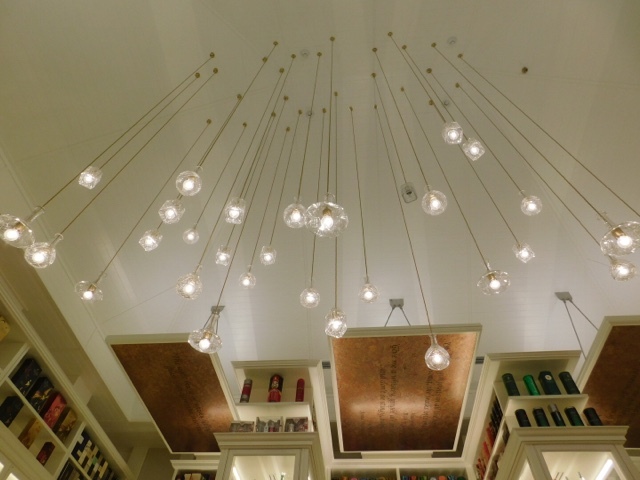 A liquid library, genius (and swoon!). I definitely need to check this out next time I'm on the mainland! Alas it's not open to the general public, but so worth a visit if you ever get the opportunity. You had me at library, then I realised it wasn't quite what I was expecting. Wow, what a place. So cool! Shared! So fun, I didn't know something like this existed and I'd love to visit. What a shame it's not open to the general public - I bet it would be a really popular exhibit! Thanks for sharing! I think they have had the occasional open day where you can visit so keep an eye out on the Diageo social media. Wow, this is amazing!! I did not even know place like this existed before reading this article! Me neither! Even when I got the invitation I wasn't really sure what kind of place I was going to. I love visiting places like this, so much knowledge to soak up and some great tasting opportunities too!